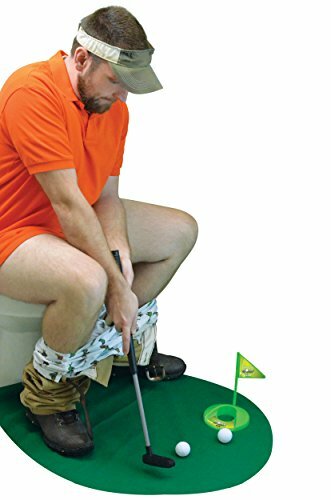 The toilet time golf game that lets you practice your putting while going to the bathroom? Sure it sounds funny, but for the golfer that just can't get enough of the game, it's the perfect item? Makes the perfect gift for any golf fan of any age! If you have any questions about this product by Fairly Odd Novelties, contact us by completing and submitting the form below. If you are looking for a specif part number, please include it with your message.